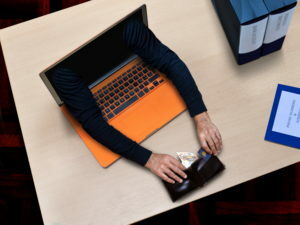 Experian Information Systems recently released a report on online shopping fraud, and the news isn’t good for merchants and customers alike. According to the report, total online shopping fraud in the US increased 30% in 2017 from the year before. The two categories of fraud most responsible for the large increase were shipping fraud and billing fraud. Shipping fraud happens when a criminal uses his or her own address to receive purchased stolen goods online. Billing fraud occurs when the victim’s address is connected to the payment account that is used to purchase the stolen goods. Shipping fraud rose 37% in 2017 while billing fraud rose 34%. In addition to that, 53% of fraudulent transactions were done through an internet browser while 29% occurred on a mobile device. The average amount lost per zip code for online shopping fraud in 2017 was $855. As criminals become more sophisticated with their tactics, online shopping fraud numbers should continue to rise unless merchants take significant steps to safeguard against potential attacks. Why Merchants Must Protect Themselves against Online Fraud? As a merchant, you have to take credit card fraud seriously. If you want to see how credit card fraud is affecting you, we highly encourage you to use this fraud calculator powered by Kount®. We have partnered with Kount® to offer a sophisticated risk prevention solution for online merchants and others that are in card-not-present environments. The Kount® platform enables merchants to maximize their bottom line, reduce chargebacks and fraudulent charges, and improve customer relations. When a consumer trusts a merchant to securely handle his or her data, he or she will likely be a regular customer. If the inverse happens, a merchant’s reputation can be tarnished, costing them in sales. As credit card fraud represents the most common form of identity theft, safeguarding against it is a must. 92% of fraudulent transactions involved a credit card while only 7% happened through direct billing, prepaid gift card, third-party transfers, or some other means. At First Atlantic Commerce, we offer online merchant services that are effective against criminals who are trying to commit fraud. We encourage you to contact us today to learn more about our security solutions and how they can benefit you in this increasingly dangerous time for merchants and consumers.